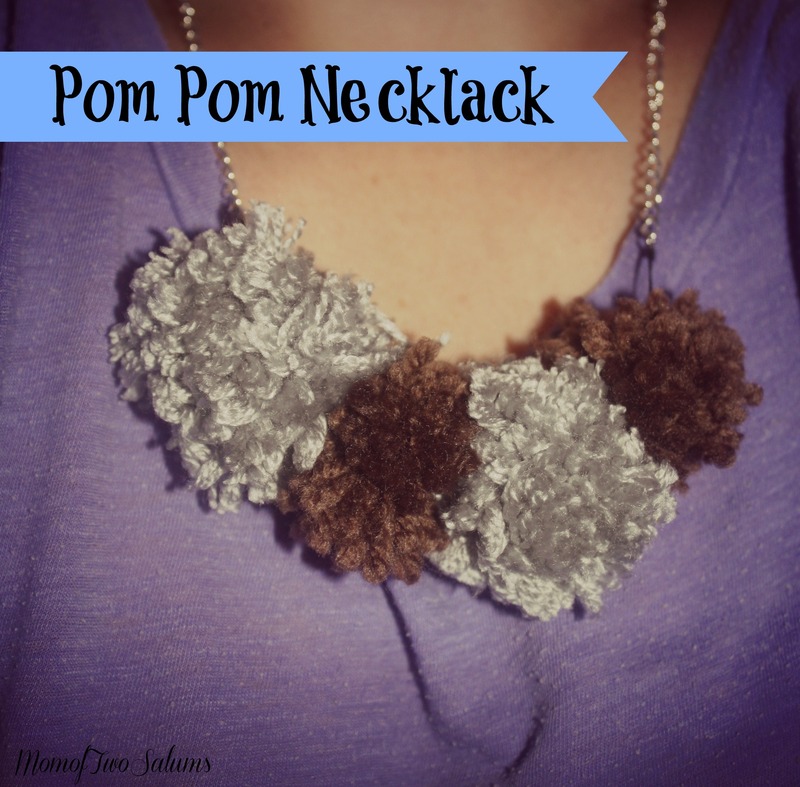 Pom Pom’s seem to be the latest thing to take over Pinterest. I have made a ton of them over the last few weeks and I decided that they would look cute on a necklace. I made two sizes of Pom Pom’s (just take a look on Pinterest for a tutorial) and then strung them on plain string. I tied the string on two sides of jump rings and then cut the chain to add a jump ring and clasp on the other end.